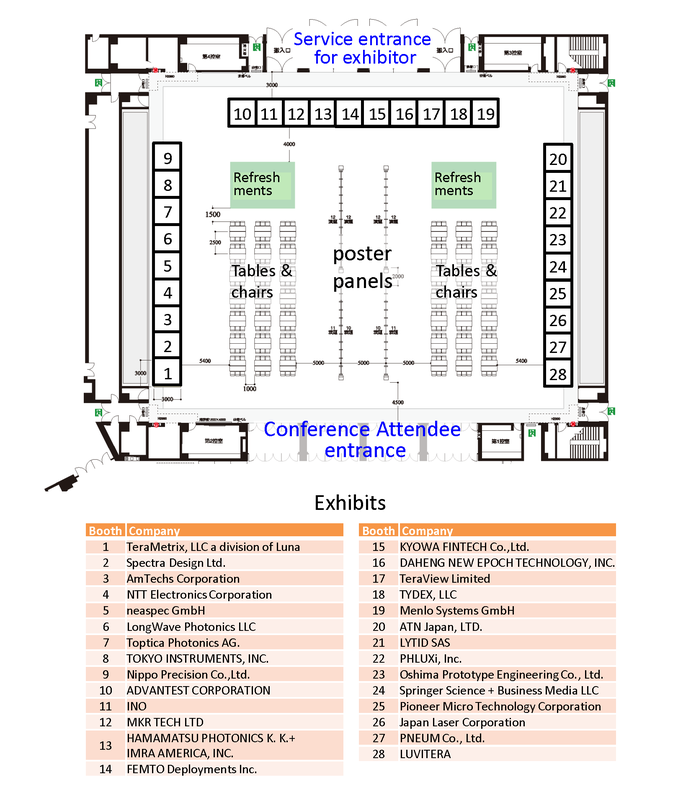 The 2018 43rd International Conference on Infrared, Millimeter, and Terahertz Waves (IRMMW-THz 2018) will be held from 9th to 14th, September, 2018 in Nagoya Congress Center, Nagoya, Japan. The conference offers an excellent chance for interaction among participants, as well as the companies providing hardware, software, services, etc. on sciences and technologies of IRMMW-THz and related products. Based on the statistics of the past IRMMW-THz conferences, hundreds of researchers in this field are expected to participate. We strongly encourage the companies to be a sponsor or an exhibitor, an indispensable part of the conference, to promote your business. The exhibition will be opened during the conference hours, 10-13 September 2018, in the same venue as lunch and poster sessions. The allocation of the exhibition stands will be decided later. The gold and silver sponsors will have the priority in choosing the location of the stand (see the table above). The allocation for the bronze sponsors and the basic exhibitors will be decided by the organizer after the payment.